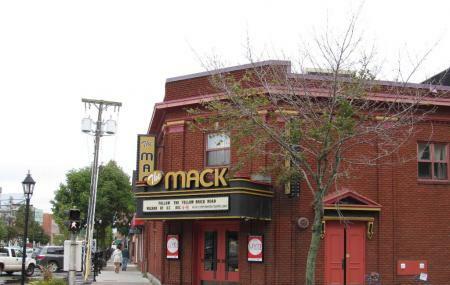 Located on the corner of Grafton Street and University Avenue, the Mack or Mackenzie Theatre seats 200 and is cabaret style. The Mack hosts interesting plays and intimate concerts in a cozy setting. Decorated with gorgeous paintings, the Mack is a wonderful theatre destination. Grab a few beers and enjoy the talented performances at this incredible venue. Ticket prices differ for different shows. Sundays & Evening Performances- The Box Office opens 2.5 hours prior to each performance. How popular is The Mack? People normally club together Confederation Centre Of The Arts and Red Shores Racetrack And Casino while planning their visit to The Mack. What a great space for close intimate experience with awesome entertainers. Arron Hastlow and friends was a wonderful show. Great venue! Drinks bit expensive as you'd expect. The talent and production quality are better than your average local theatre. Saw 'On the Road with Dutch Mason' tonight. Great show, with great blues. A good story with a strong cast. Great place. Warm and friendly staff. Awesome show ,makes you want to come back again.